You have come to terms with the fact that if you are driving a car on the road, you will need to purchase an insurance policy and keep it current. You also know that all states require some sort of insurance coverage. But a lot of the terms associated with car insurance are confusing and do not necessarily mean what you might assume that they do. Before you choose an insurance carrier, it is a good idea to have the type of coverage you seek in mind, and if you are considering changing insurance providers, it is important to ask for rates on the specific coverage that you want, otherwise you won’t know whether you’re actually getting a better deal or not. If you are “liable” for something, that means, legally speaking, that you are the person who caused the result––and the person responsible for fixing the resulting damage. In car insurance, liability coverage helps pay for the damage you cause in an accident, and the law requires it in most states. You may have heard of BI/PD or PL/PD coverage––the “BI” refers to covering the cost of any bodily injuries you cause, the “PL” refers to your personal liability in the accident, and the “PD” refers to the costs of property damage you cause. These are the critical components of basic car insurance coverage. Each insurance provider will set a limit for property damage liability, bodily injury liability per person, and bodily injury liability per accident. These are the limits on how much your insurance company will pay. While many states set minimum coverage requirements, it is a good idea to talk to your insurance agent about what coverage you should have. If you are in an accident and cause more damage than your limit, you’ll be on the hook for the remaining balance. Example: You run a red light, plowing into the side of a new sports car. Your property damage liability limit is $10,000, but the car is totaled––and the replacement cost is $50,000. Guess who is going to have to find $40,000 quickly? Unfortunately, the answer is not the sports car owner–– it’s you. As the name implies, liability coverage only covers the damage you cause––and it does not cover damage you cause to yourself or your belongings. That means that if you total your car in an accident, you would need collision coverage, not liability coverage, to have insurance pay for the damage. If you injure yourself, your medical bills will not be covered––you would need medical payments coverage for that. As the name implies, full coverage car insurance comes with more coverage than liability insurance alone. 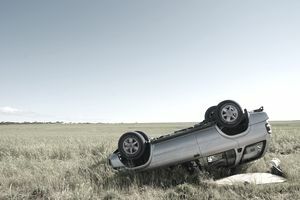 In addition to liability coverage, full coverage includes comprehensive coverage (which covers everything that could happen to your car and damage it other than an accident, like theft or storm damage), collision coverage (which covers damage to your vehicle if you cause the accident), and medical coverage or personal injury protection (which covers your medical expenses if you cause the accident). Contrary to what the name implies, full coverage does not mean that you will never have to pay a cent if bad things happen to or because of your vehicle. For one, like with all insurance policies, you will be responsible for covering all costs until you meet your deductible. For another, there are monetary limits set in every policy, as we discussed with liability insurance. Things like roadside assistance, uninsured, and underinsured motorist coverage, gap insurance, towing, OEM endorsements, full glass coverage, and car rental are not typically included in full coverage, and you will have to purchase them separately if you want to have them. If you are buying a new vehicle that will quickly depreciate and you haven’t made a substantial down payment, gap coverage is something you should consider (and might even be required to purchase). Uninsured motorist coverage is particularly important to consider because if you are in an accident with someone who does not have coverage (or does not have enough coverage), you might not end up getting the money you’re owed. Some states require this coverage, but if yours does not, it is a critical add-on to consider. What Does Minimum State Car Insurance Mean? Is It Enough? Are You Driving With Washington State Minimum Car Insurance Coverage?